If you're having difficulty writing, lifting objects, pursuing your favorite hobby or playing your favorite sport due to agonizing hand pain, you may be suffering from carpal tunnel syndrome. This all-too-common problem affects over 8 million individuals every year, and the surgery often prescribed for it is almost as common as back surgery. But you don't have to undergo an invasive procedure and lengthy convalescence for your carpal tunnel syndrome, thanks to the non-invasive treatments offered by our Thousand Oaks chiropractor at Duben Holistic Chiropractic Center. The carpal tunnel is a narrow space between the bones of the wrist and surrounding connective tissues such as the transverse carpal ligament. This space accommodates the median nerve. The median nerve runs through the wrist and into the hand, where it conducts nerve signals to the thumb and the first three fingers. Unfortunately, the close quarters inside the carpal tunnel allow little room for issues such as misaligned bones or swollen tissues. If inflammation occurs in this area, the median nerve can become pinched, causing neurological symptoms such as pain, loss of muscle control, numbness, and tingling. Carpal tunnel syndrome is a common affliction for people who use their hands and wrists in their work, from professional athletes to office workers, artists, and musicians. You may even be predisposed to this problem if you have an abnormally narrow carpal tunnel or a misalignment of the wrist bones. Chiropractic adjustment - Chiropractic adjustment isn't only for the spine. We can perform extremity adjustments that gently correct the alignment of bones in the wrist and hand, creating more space within the carpal tunnel. Laser therapy - Laser therapy is a remarkably effective method for treating soft tissue pain and inflammation. The laser energy works beneath the skin to stimulate cellular repair in injured tissues. It also enhances blood flow and improves fluid drainage to ease the inflammation pressing against your median nerve. Need Carpal Tunnel Treatment in Thousand Oaks? Are you looking for safe, non-surgical carpal tunnel treatment in Thousand Oaks? If so, you've come to the right clinic. 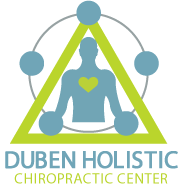 Call Duben Holistic Chiropractic Center at 805-468-4437 to schedule an evaluation and get the relief you so desperately need!